Often we hear assertions by the media (and others) that they know what a person is thinking, or better, what he'll do next and why. This is certainly true when talking about the pope: Vatican watchers (speculators?) think they have the pope pinpointed. Much of what is said in the media is a string of partial understandings: one would hope that we could just say we are making a prediction so when it doesn't materialize we don't run away with our heads hung low. Of course human nature seems to want to be right all the time to garner power, fame and even money. Intrigue is rather boring 99% of the time. 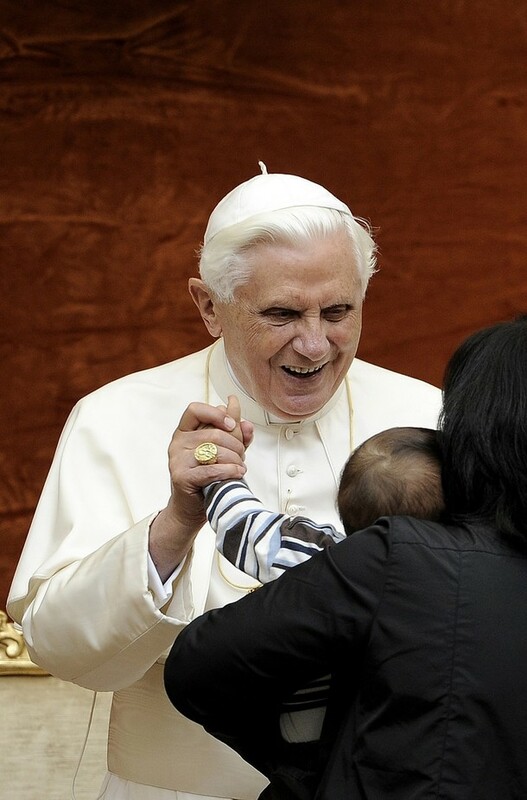 That said, there are a few people who modestly have an understanding of Benedict XVI which we ought to note. 4. go east: think of Christian life in China which by all accounts has not been a raging success. Aside from the normal cliches of recognizing that some call Pope Benedict the "new Leo the Great" or the "new Augustine" Msgr. Camisasca rightly focuses our attention on some rather important areas of concern for Benedict which also should concern us if we want to follow his lead to Christ. Instead of focusing on Benedict perhaps we focus on Christ through the lens of Benedict. At the Pope's weekly audience he addressed the role of greed as the basis of our current economic problems viz. the life of an 8th century monk. Read the article published at Asia News. Happy 4th anniversary Pope Benedict! Lord, source of eternal life and truth, give to Your shepherd, Pope Benedict, a spirit of courage and right judgment, a spirit of knowledge and love. May God grant Pope Benedict many years! 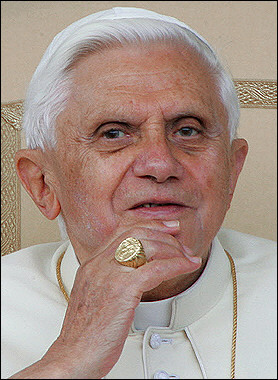 Happy 82nd Birthday Pope Benedict! From the depths of my heart, I wish all of you a blessed Easter. To quote Saint Augustine, "Resurrectio Domini, spes nostra - the resurrection of the Lord is our hope" (Sermon 261:1). With these words, the great Bishop explained to the faithful that Jesus rose again so that we, though destined to die, should not despair, worrying that with death life is completely finished; Christ is risen to give us hope (cf. ibid.). The proclamation of the Lord's Resurrection lightens up the dark regions of the world in which we live. I am referring particularly to materialism and nihilism, to a vision of the world that is unable to move beyond what is scientifically verifiable, and retreats cheerlessly into a sense of emptiness which is thought to be the definitive destiny of human life. It is a fact that if Christ had not risen, the "emptiness" would be set to prevail. If we take away Christ and his resurrection, there is no escape for man, and every one of his hopes remains an illusion. 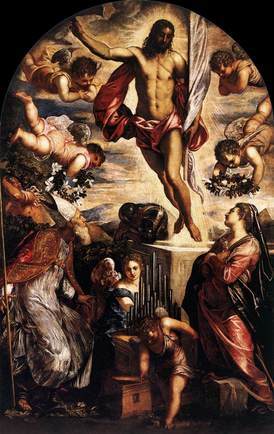 Yet today is the day when the proclamation of the Lord's resurrection vigorously bursts forth, and it is the answer to the recurring question of the sceptics, that we also find in the book of Ecclesiastes: "Is there a thing of which it is said, 'See, this is new'?" (Ec 1:10). We answer, yes: on Easter morning, everything was renewed. "Mors et vita, duello conflixere mirando: dux vitae mortuus, regnat vivus - Death and life have come face to face in a tremendous duel: the Lord of life was dead, but now he lives triumphant." This is what is new! A newness that changes the lives of those who accept it, as in the case of the saints. 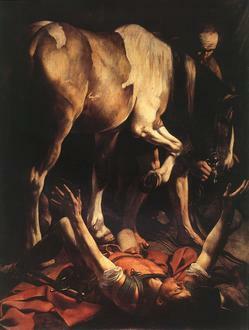 This, for example, is what happened to Saint Paul. If it is true that death no longer has power over man and over the world, there still remain very many, in fact too many signs of its former dominion. 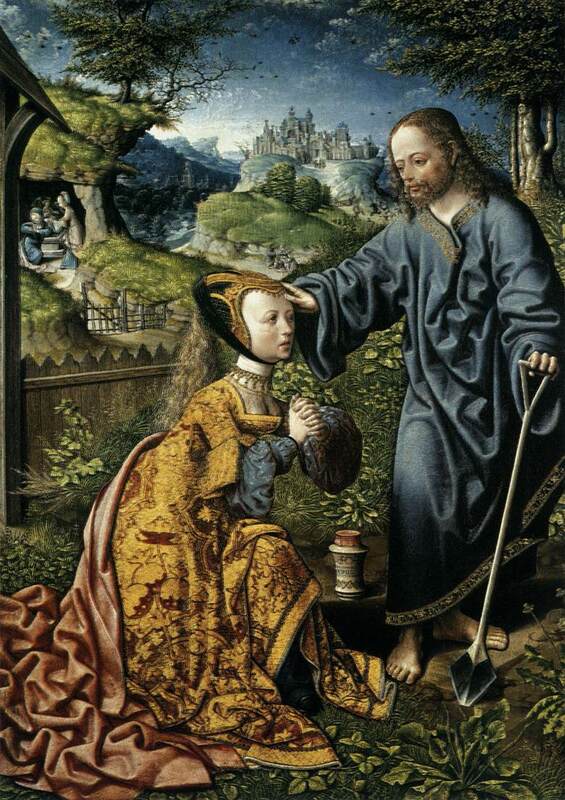 Even if through Easter, Christ has destroyed the root of evil, he still wants the assistance of men and women in every time and place who help him to affirm his victory using his own weapons: the weapons of justice and truth, mercy, forgiveness and love. This is the message which, during my recent Apostolic Visit to Cameroon and Angola, I wanted to convey to the entire African continent, where I was welcomed with such great enthusiasm and readiness to listen. Africa suffers disproportionately from the cruel and unending conflicts, often forgotten, that are causing so much bloodshed and destruction in several of her nations, and from the growing number of her sons and daughters who fall prey to hunger, poverty and disease. I shall repeat the same message emphatically in the Holy Land, to which I shall have the joy of travelling in a few weeks from now. Reconciliation - difficult, but indispensable - is a precondition for a future of overall security and peaceful coexistence, and it can only be achieved through renewed, persevering and sincere efforts to resolve the Israeli-Palestinian conflict. My thoughts move outwards from the Holy Land to neighbouring countries, to the Middle East, to the whole world. At a time of world food shortage, of financial turmoil, of old and new forms of poverty, of disturbing climate change, of violence and deprivation which force many to leave their homelands in search of a less precarious form of existence, of the ever-present threat of terrorism, of growing fears over the future, it is urgent to rediscover grounds for hope. Let no one draw back from this peaceful battle that has been launched by Christ's Resurrection. For as I said earlier, Christ is looking for men and women who will help him to affirm his victory using his own weapons: the weapons of justice and truth, mercy, forgiveness and love. That the Lord may bless farmers' work with an abundant harvest and sensitize the richer populations to the drama of hunger in the world. That the Christians who operate in the territories where the conditions of the poor, the weak and the women and children are most tragic, may be signs of hope, thanks to their courageous testimony to the Gospel of solidarity and love. 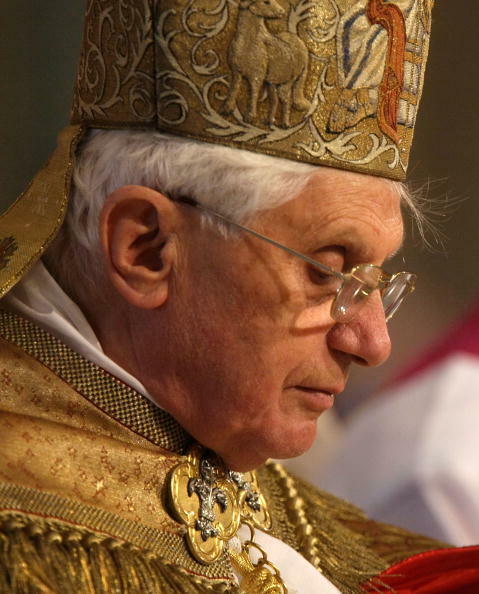 This page is a archive of entries in the Pope Benedict XVI category from April 2009. Pope Benedict XVI: March 2009 is the previous archive. 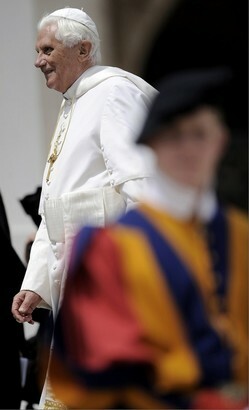 Pope Benedict XVI: May 2009 is the next archive.